Advanced Sheet Metal has many years experience in the production of precision sheet metal work, we have successfully combined the traditions of value, service and workmanship with innovation and automation to meet the ultimate needs of the client. Premier IT is a known brand leader in the ICT Recruitment market space. With specialist consultants across all technologies we have been delivering an award winning service to our clients and candidates for the last 15 years. Bridge Electrical Contractors Bridge Electrical has been established since 1972 and are members of the NICEIC and ECA. We carry out a large range of electrical works, including: •Domestic • Commercial •Industrial •Testing & Inspection •PAT testing Contract distances range from working in Newquay, Cornwall to Lake Windermere, Cumbria. Previous projects include working for hospitals, hotels, local government, schools, retail and leisure, office refurbishments with contracts ranging from £1,000 to £225,000. Feel free to call our office on (0118) 9 797 138 with any queries, opening hours are 08:30 to 16:30. Topps Tiles PLC is the UK's leading tile specialist and the group has grown to incorporate 1,500 specialist experts and over 300 stores nationwide, with more openings in the pipeline. Topps Tiles' position as the UK's number one tile retailer is a tribute to the business philosophy and the approach developed by its founders. From the outset the founders recognised that the key to success was an outstanding range of tiles and associated products at prices to suit all pockets coupled with excellent and knowledgeable customer service. Estate agents with offices in Burghfield Common, Goring on Thames, Henley on Thames, Pangbourne, Sonning Common, Shinfield and Watlington. BDS Surveyors is a small but well established Building Surveying practice based in the South East of England. Dealing with both residential and commercial property, we offer architectural design services for alteration, extension, refurbishment and new-build projects, together with traditional building surveying services such as building surveys, party wall services and insurance claims assistance. 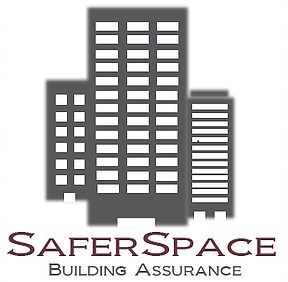 We are an independent and professional company offering a comprehensive service, giving clients the benefit of a personal approach with the assurance of the regulated standard of service demanded by the Royal Institution of Chartered Surveyors. The Day Lewis Group is an award winning family business, consisting of one of the largest independent pharmacy chains in the UK and Europe. Founded by Kirit Patel MBE and his brother JC Patel in 1975, the Group remains a family-owned entity today, having grown from one pharmacy in Southborough to owning and managing over 250 pharmacies in the UK today. Day Lewis employs over 2000 people and has a major presence in the South of England, from Cornwall to Greater London. The company also has the management rights to the pharmacy concession in Harrods, the world famous department store in Knightsbridge, London. As well as a strong retail pharmacy base, the Group contains a central distribution division, with warehouses equipped with Knapp automation, in order to supply over 4000 pharmaceutical products to its retail pharmacies in the UK. Throughout its dynamic history in community pharmacy and the business arena, Day Lewis has advanced from being a traditional retail pharmacy business, dispensing medication and offering retail products, into a patient-orientated service provider. The success of the group has been largely attributed to its employees and its organisational culture. The company’s core purpose is “To help people in the community stay healthy and feel better”. Further, the Group has a strong set of core values which are: • To keep our caring family culture • To look after our customers • To be disciplined and professional • To be different through innovation • To reward, recognise and empower • To have fun The Chief Executive, Kirit Patel, is renowned entrepreneur in the UK Pharmacy sector. His contribution to pharmacy and public service was recognised in 2005, when he was awarded an MBE by Her Majesty Queen Elizabeth II. Going forward, Day Lewis aspires to grow through acquisition whilst still maintaining its independence and family culture. Based in Reading, Blade Printing is a leading supplier of printed and embroidered clothing across the UK and abroad. Quality and quick turn around on all orders from sports kit to T-shirts. With over 20 years experience successfully supplying the lighting industry we pride ourselves on our ability & commitment to provide the very best lighting for every application. Our qualified and experienced lighting consultants have a wealth of knowledge and understanding in every sector. From our numerous manufacturing plants throughout the UK and representation of key lighting companies across the UK and Europe we provide a complete range of products, from our contractor range we supply through the electrical wholesale channels to high end specification luminaires for projects. Lineup Systems builds advertising-sales tools designed specifically for collaborative print, digital, and broadcast media companies. Crest Nicholson has been building new homes for 50 years and is firmly established as a leading developer with a passion for not just building homes, but creating vibrant sustainable communities. Our mission is to improve the quality of life for individuals and communities, both now and in the future, by providing better homes, work places, retail and leisure spaces. Most importantly, we place our customers at the heart of everything we do. Pendle Sportswear 38 years selling football kits direct to clubs. Typically 40% less than comparable shop prices - Why pay more?